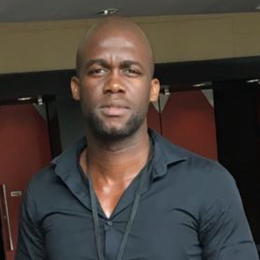 Mlungisi Thabiso Dlamini joined KRISP in January 2017 as a PhD Research Fellow under the mentorship of Prof. Tulio de Oliveira, as part of the CAPRISA Professional Development Programme (PDP). He holds a Masters degree in Medical Science (Medical Microbiology) where he was investigating the role of Mycobacterium tuberculosis curli pili (MTP) in inducing host immune response in pulmonary epithelial cells using RNA-sequencing. His PhD work focuses on the application of next-generation sequencing to identify known and novel drug resistance-conferring mutations in the whole genome of drug-resistant M. tuberculosis strains with an aim of formulating improved strategies to reduce the development and spread of drug-resistant tuberculosis in KwaZulu-Natal. PhD Research Fellow: KwaZulu-Natal Research Innovation and Sequencing Platform (KRISP), University of KwaZulu-Natal. NRF-DST PDP Research Fellow: Centre for the Aids Programme of Research in South Africa (CAPRISA), University of KwaZulu-Natal. Master of Medical Science (Medical Microbiology), Department of Medical Microbiology, University of KwaZulu-Natal (2016). Bachelor of Medical Science Honours (Medical Microbiology), Department of Medical Microbiology, University of KwaZulu-Natal (2013). Bachelor of Science (Microbiology and Cell Biology), University of KwaZulu-Natal (2012). Iketleng T, Lessells R, Dlamini MT, Mogashoa T, Mupfumi L, Moyo S, Gaseitsiwe S, de Oliveira T, Tuberculosis Research and Treatment (2018), https://doi.org/10.1155/2018/1298542:.